I think that mama taught me how to read when I was four years old. I’ve been chewing through books ever since. And I do mean “chewing through..” because it generally takes me less than a day to tackle an entire book. And that’s only because I have a three-year old bossing me around some of the time.. Pre “mommy hood” I could knock out an entire novel in about two hours. And I’m not bragging. Merely stating the facts Sir. So I’ve taken the liberty of compiling a list of my most favorite books of all time. Just because good books are timeless, and should be remembered. Because a really good book will change us, sometimes in good ways..sometimes in not so good ways. But they rarely leave us the way that they found us. I hope to one day leave my legacy in ink. But until then.. I was drawn to the title of the book, but had never heard of the author. I read this in one sitting because it is, quite simply, a literary work of art. Will’s humanity, the good parts and the broken parts, are beautifully displayed. I laughed some through this book, but in the end I had a good cry. Because forgiveness is such a beautiful thing. 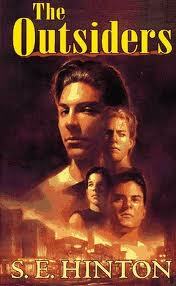 In the end, Will comes to see himself no longer in terms of the object of his father’s wrath. He comes to see himself instead as the recipient of his heavenly Father’s grace and forgiveness. And what a view. “Somehow you must come to understand that God is love, that love is proof of God, and forgiveness is the proof of love.” This. Simply this. I’m not even sure how I happened upon this book. 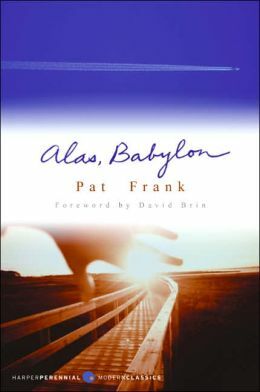 I’d never heard of Pat Frank before, but it’s absolutely in the top five on my list of “most favorite reads.” Alas Babylon is the story of a small town in Florida’s survival after a nuclear war between the old Soviet Union and the United States. While the politics of the war certainly add an interesting backdrop, the human interactions that take place amid such chaotic conditions are the most compelling part of the story. The phrase “Alas Babylon” arises from sermons brothers Randy and Mark hear as young boys. Firey sermons by the preacher Henry about the city of Babylon destroyed by God for its wickedness. Mark sends those words to his brother Randy to warn of the impending attack. I’ve read this book more than once. For the record, that is unusual. I think part of what makes this book attractive to me is that, despite the hopelessness of the situation, Pat Frank’s characters remain hopeful that life will indeed get better.